This Chicco MoDe Booster Seat in Kiwi fits all standard chairs to give toddlers a boost at the table. 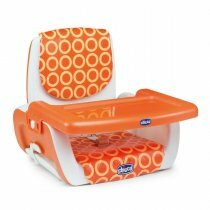 This great booster seat features three different height positions and easy clean and removable seat padding. Comes complete with an adjustable and removable tray which is an ideal surface for toddlers to use if they cant reach the table.